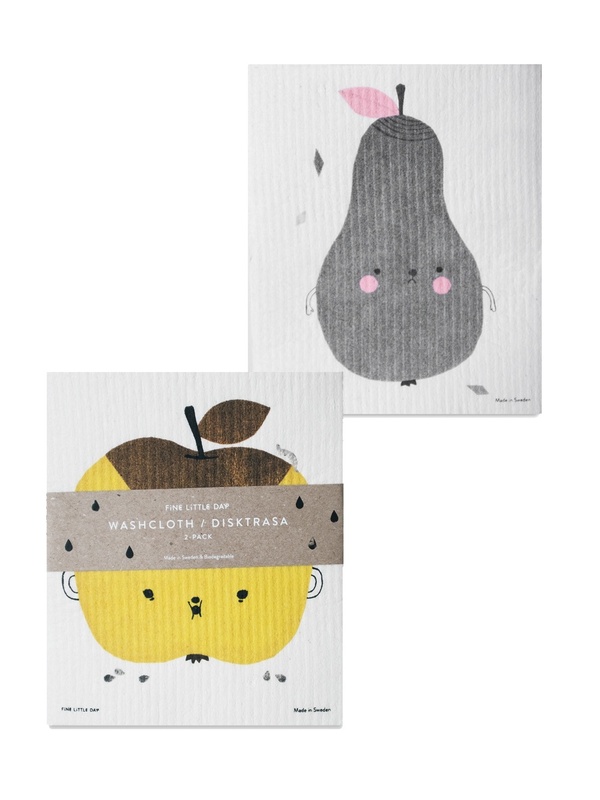 Super cute set of Swedish dishcloths from Fine Little day. These are a must have for any Kitchen because they can be machine washed for re-use and they simply look great! Care - Wash in dishwasher or machine wash. Wash proof up to 90°.